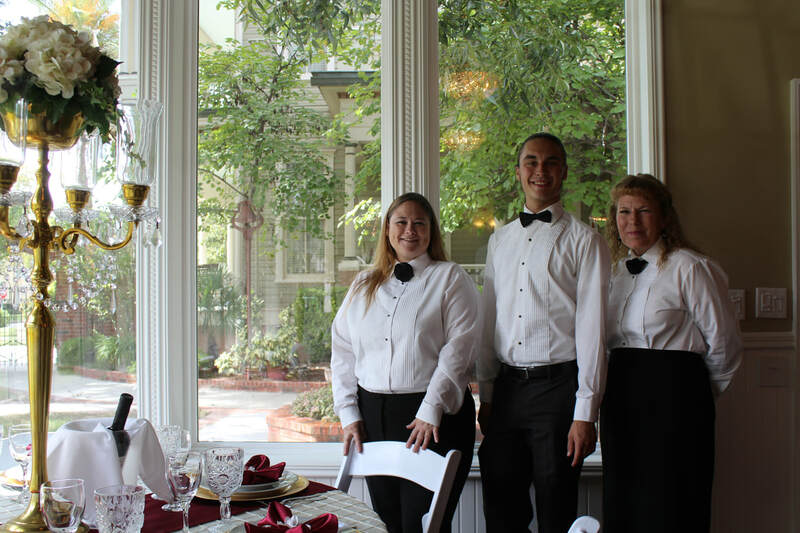 ​The Abbott House is Seguin's premiere wedding and events venue. Located on the corner of North Austin and Humphreys Street, this historic home offers an authentic atmosphere for any occasion. The Abbott House's intimate spacing and elegant décor will serve as a backdrop for the most prestigious events in the city. With the addition of the banquet room and outside courtyard that includes a gazebo, granite bar top, gas fire-ring, covered stage for live music, dance area, victorian garden & landscaping, it is a perfect venue for small parties or lavish affairs. ​The residence, a three-story, Victorian Queen Ann Mansion, featuring a full basement, sweeping verandas, a distinctive turret, gabled windows, and sunburst fan detail on the front of the house, was built for $2,700. This was considered a large sum of money in 1895. No stone was left unturned with The Abbott House. Every feature from the interior of the home to the exterior and landscaping has been restored to its fullest potential. With the addition of the 1,700SQFT banquet room that overlooks the beautifully landscaped courtyard, you're guaranteed to have the wedding or event of a lifetime. Whether you enter through the iron gates into the courtyard or through the original stained glass double doors, The Abbott House will leave you feeling as if you have stepped back in time. With the addition of the indoor banquet room & courtyard that includes a stage, granite bar top, & gas fire pit, The Abbott House is the perfect venue for your unforgettable day, rain or shine. Host your company holiday party, hold a business meeting, celebrate your employees and accomplishments, or have a retirement party. The Abbott House offers a large number of authentic & unique indoor & outdoor features, allowing you to make the most out of your photo shoot. With The Abbott House as your portrait location, you're guaranteed to have a wide variety of amazing photos to cherish that will stand the test of time.